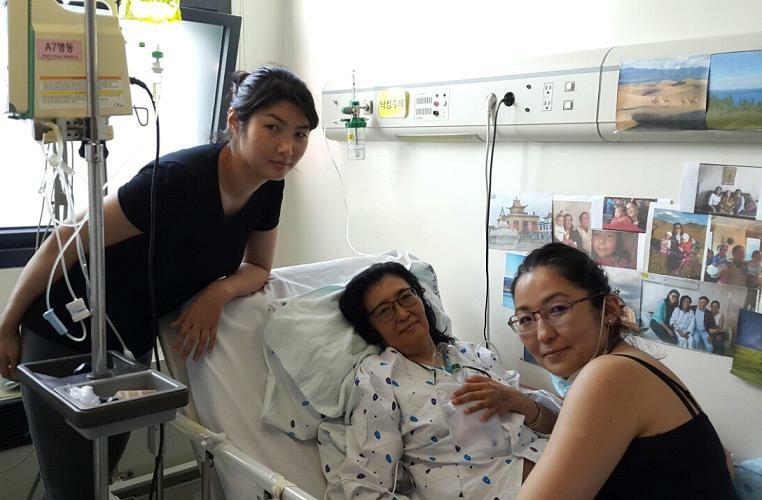 Tsegmed Khun, a doctor, needs immediate donations for an expensive life-saving liver transplantation. Her family has to take out a loan and this credit has to be paid back in already one year. A dentist informed a hotel manager about the need of this family, who then started the donation campaign "Rolling Stone donation's mission". This campaign is supported by Dr. Walser Dental, too. The transplantation costs, which amount 100.000 USD, have to be paid back in 11 months and time is running. Tsegmed has been working in health care in Mongolia for 30 years, whereupon the improvement of the state of health of people has been her major topic. Today, she is the one who is very ill and her daughter has saved her life through a liver transplantation. Tsegmed is married and has two children, a daughter named Baigali Tsolmon, 34 years old, and a son, 30 years old. Baigali has two children, too and she gave 60 % of her own liver for saving her mother’s life. After the terrible diagnosis of cancer, which already had destroyed the liver, transplantation was the last opportunity. All family members were shocked, but they had to make a decision immediately since Tsegmed’s life was at stake. 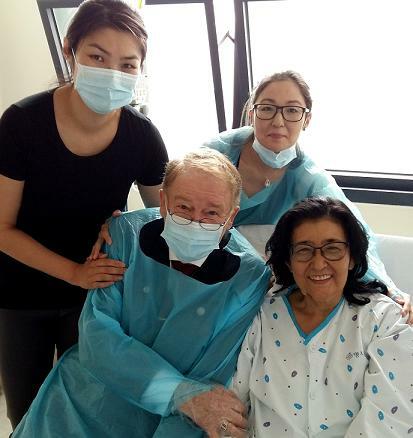 This kind of transplantation can not be made in Mongolia, yet, but thanks to a cooperation with doctors at Myongji Hospital in Gojang, Korea, this operation could have been realized over there. The costs were 100.000 USD and the transplantation had to be made as soon as possible. For a standard mongolian family this amount was not realizable. That was the reason why the family didn’t know what to do. Caused by a lack of time the only achievable credit was attached to the condition to pay the money back within 11 months. 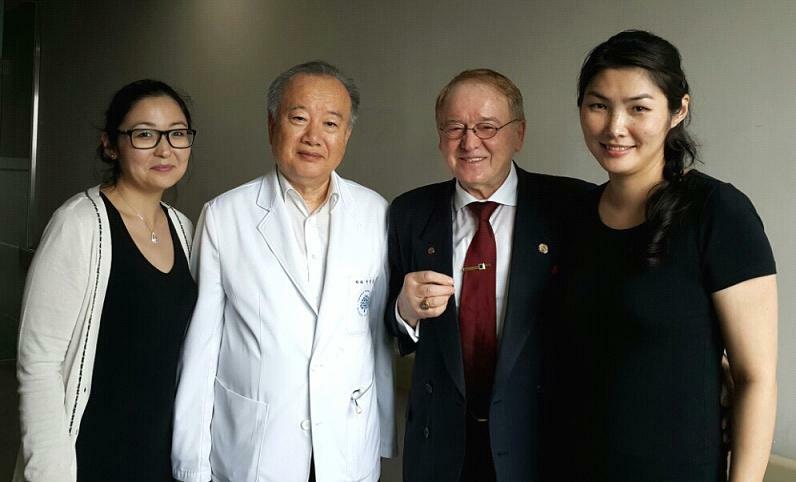 Bernhard Brender, General Manager of Grand Hilton and honorary citizen of Seoul, got to know about the family’s need from a german dentist, whereupon he started the donation campaign "Rolling Stone donation's mission". For Bernhard Brender, who is highly socially committed and has already helped so many people, it was a matter of heart to initiate this project and to campaign for it personally. He contacted his friends all over the globe in order to call their attention towards this family, in the hope of receiving a lot of help. The daughter Baigali Tsolmon is going to publish a "thank-you" brochure, listing all the donators, at the time the target is reached. If you want to support the donation campaign "Rolling Stone donation's mission", too, and as a consequence help this family, please transfer the amount in USD to the following account. Each sum, both little and large, is important and can be helpful. Text: "Rolling Stone donation's mission"
f.l.t.r. donor Baigali Tsolmon, Prof. Lee Gon Ug who is the manager of the cancer centre in the Myongji Hospital and the operating surgeon, Bernhard Brender who is honorary citizen of Seoul and General Manager of Grand Hilton, Baigali's cousin Onon.